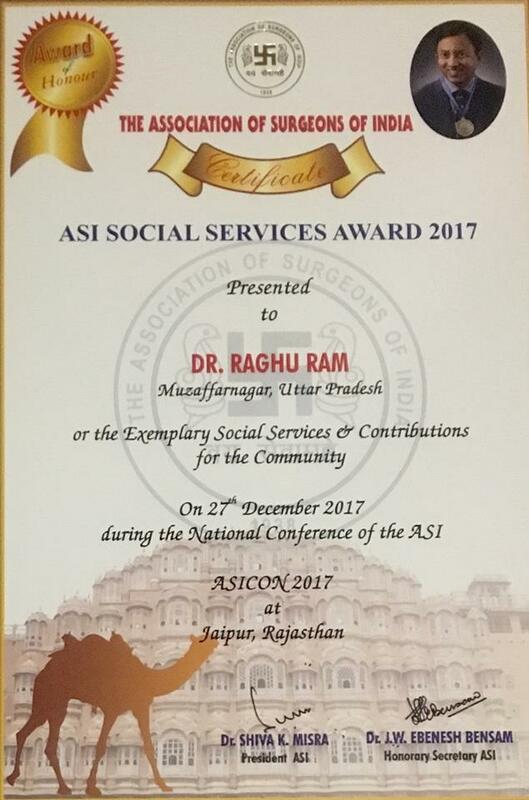 Dr.Raghu Ram was conferred the 'Social Services Award' for the year 2017 by Dr. Shiva Misra, President, The Association of Surgeons of India and Mr Ashok Jain, Chief Secretary, Govt. 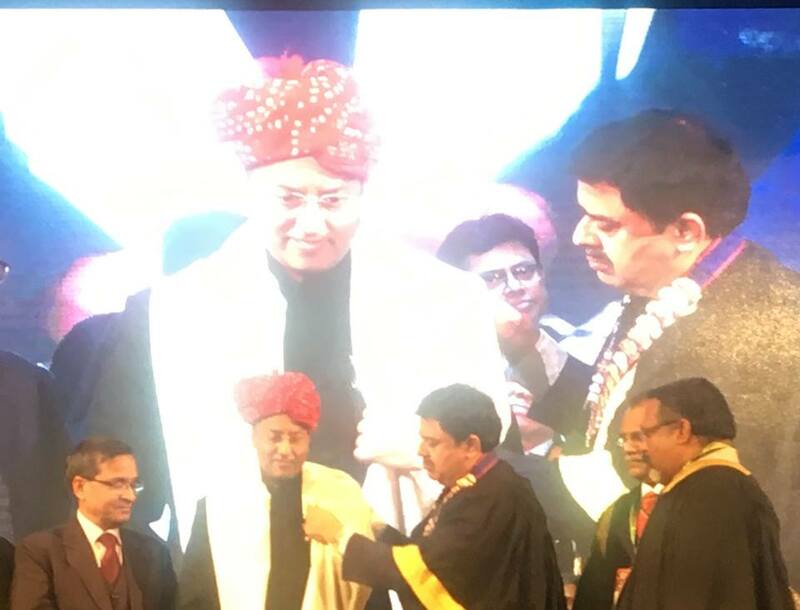 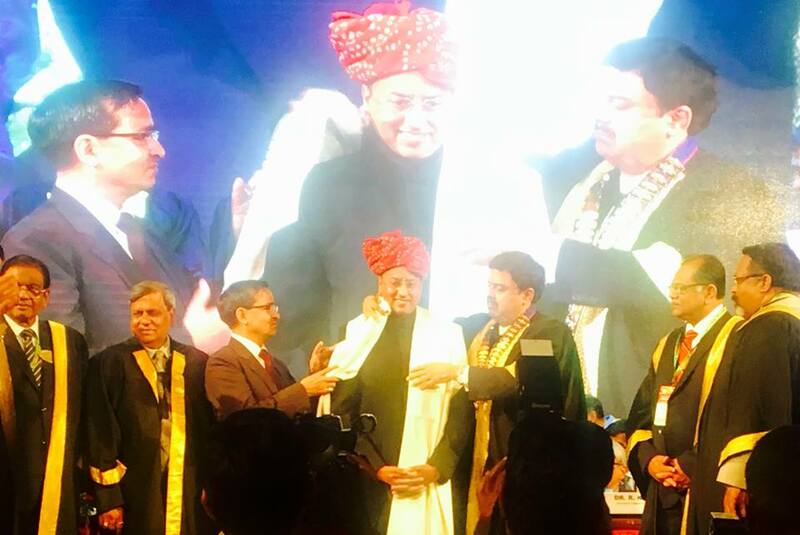 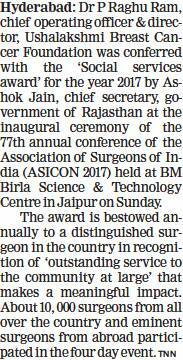 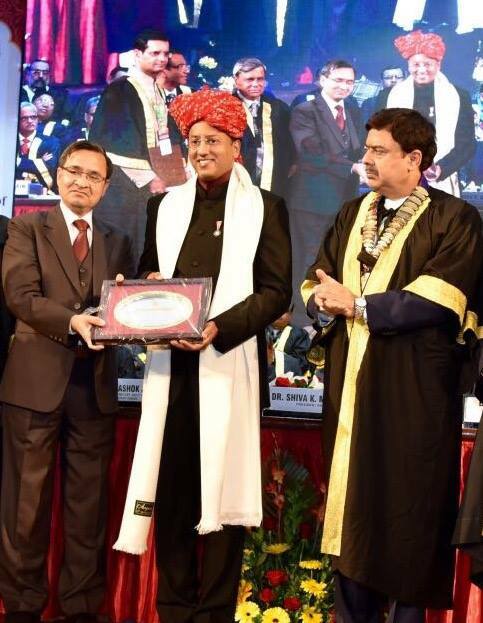 of Rajasthan at the Inaugural Ceremony of the 77th Annual Conference of The Association of Surgeons of India (ASICON 2017) held in Jaipur on 27th December 2017. 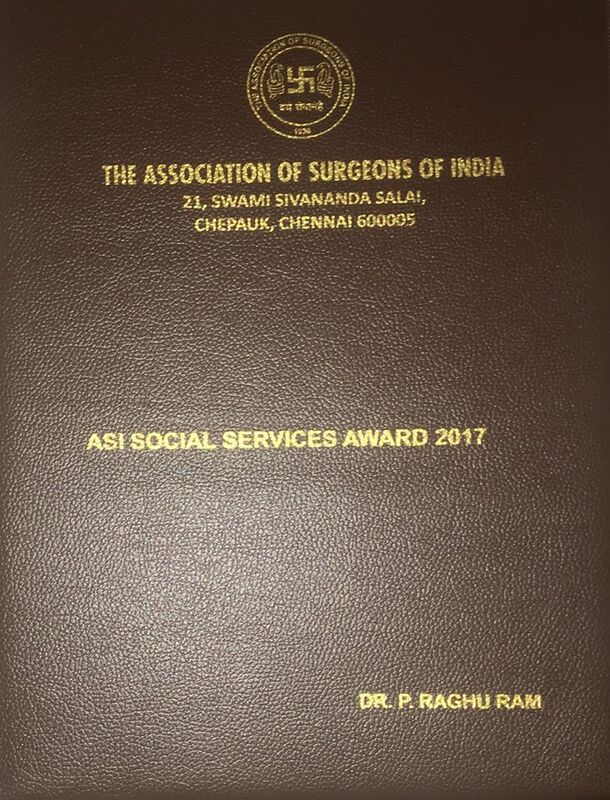 This award is bestowed annually to a Surgeon in the Country in recognition of outstanding service to the Community at large that has made a meaningful impact. 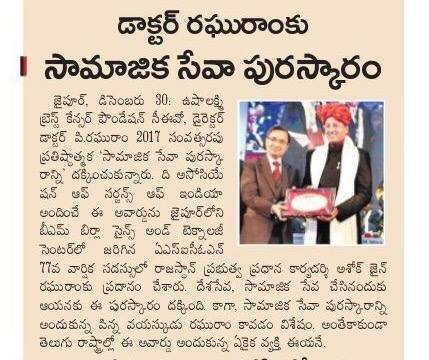 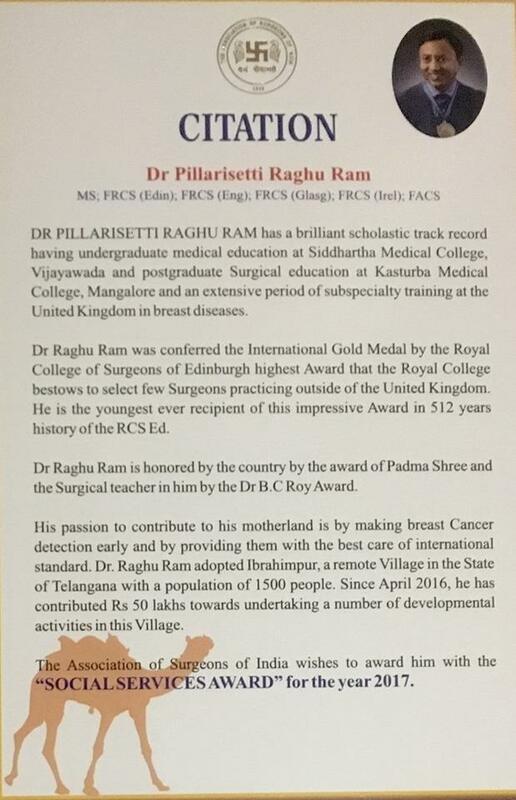 Dr Raghu Ram is the youngest thus far & the only Surgeon from Telangana and Andhra Pradesh to have received this coveted award.